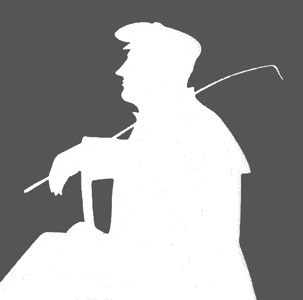 LBT is a growing digital archive of books, pamphlets, and periodical essays illustrating the causes and controversies that preoccupied Byron and his contemporaries. The documents, large and small, ephemeral and monumental, underscore the social dimensions of publishing in the romantic era; the archive uses notes, commentary, and links to highlight relationships among their readers and writers. Byron was at once a social critic and an object of criticism, a brooding misanthrope and an icon of fashion. His life and writings were the subject of scores of books and pamphlets that sparked yet further controversies that often developed a life of their own. These quarrels over manners and morality, politics and religion were occasions for rhetorical exchanges that were sometimes brilliant, sometimes mean, and sometimes both. If Byron was the focus of controversy, the focus of LBT is less the man than the controversies that enveloped him. The romantic era was, contemporary observers complained, an age of “personality.” LBT pursues connections between people and publications using database technology to track the appearances of thousands of major and minor personages through a wealth of documents. To access the archive, select contents in the menu to bring up a list of document-collections in the archive, or search persons to find documents by or about a particular person. To read about the project at large, select about lbt. Documents made available through a Creative Commons license so that they can be freely circulated and reused for other purposes with only an acknowledgement of the source. As the semantic web develops in the years to come LBT will strive for integration with the expanding network of romantic texts on the internet, underscoring the social dimension of social-text editing.